Online merchants have the hardest time in the industry creating and fostering customer loyalty. Trust is a large part of that difficulty, as it’s harder to get a customer to trust you when you don’t have the look and feel aspect of your products to offer. 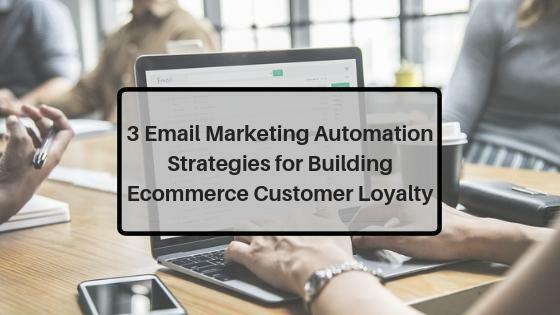 However, there is a way you can use email marketing automation to encourage customer loyalty and trust for ecommerce stores. 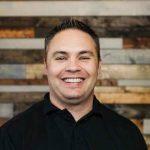 Surprisingly, by completely automating part of your communications, you can actually connect with your customers on a more profound level. You can start by making sure your message is always relevant. While it might seem difficult to personalize an automated message, the reality is that this starts with the smart segmentation of your marketing and subscriber lists. By segmenting these lists, you can create messages that are tailored to your customer and feel like they were specifically written for them. One of the best ways to go about segmenting your customers is to pre-segment them with tailored email marketing lists. By offering several different, personalized offers for your email capture incentives, you can pre-segment your customers by their interests. Not only does targeting your list building create a more personalized experience for your customer, but it also creates more trust and loyalty by reinforcing that you offer what the customer wants. The best way to further strengthen this strategy is by adding more channels into your email marketing automation workflow and creating an omnichannel customer experience. In doing so, you provide a better overall seamless experience for your customer that feels the exact same no matter what channel the customer uses to reach out to you. These three tactics will help you use email marketing automation to build customer loyalty and trust for your ecommerce business. Your best revenue stream is the easiest to obtain and they spend the most: repeat customers. According to the Adobe Digital Index Report, 40% of all revenue earned online comes from repeat customers. But how do you turn customers into loyal repeat customers? How do you go about building this long-term relationship? It starts with trust. Without the look and feel experience that customers typically get in brick-and-mortar stores, trust is the biggest factor in getting that first purchase and all the purchases that come after. Trust is pivotal for online businesses. While there are tons of different ways to build that trust (especially concerning your site), what I’m interested in is how we communicate with customers to build a rapport. I’m interested in how we use email marketing at each step of the customer journey to reassure the customer and foster this loyalty. Email is already one of the most profitable channels in ecommerce, earning $40 to every $1 invested, and it helps build customer trust and loyalty like no other channel can. However, in order for email marketing to work as effectively as that and build customer loyalty, it needs to be personalized and relevant for the customer. Because a generic one-size-fits-all message is never going to get your customer to trust you. If we were to send those messages manually, it would take ages. We wouldn’t even have time to do anything else. This is where email marketing automation comes in. Email marketing automation can help you create personalized messages that earn more revenue on autopilot. By sending a customized, relevant message, you’ll earn a higher open rate, more click throughs, and more orders. While email marketing automation might seem complicated, there are clear strategies that you can put into place to get the most out of this channel. Each customer of yours is a unique human being. They’re not going to respond the same way to each and every kind of message. So why would you send the exact same cookie-cutter message? Sending bulk newsletters and generic promotions isn’t enough anymore and it shows in the open and click through rates. The first thing you have to do when preparing your automated email campaign is to segment your customers. Profile Data: This category includes everything that’s demographic related, like age, gender, location, marital status, etc. It’s any kind of data that you might have on your customer. Different pieces of information will help you segment based on different things. For example, maybe you’d like to do a promotion for Valentine’s Day. Knowing a marital status could help you market either gifts for a significant other or products for the customer to gift for themselves (in the case of being single). 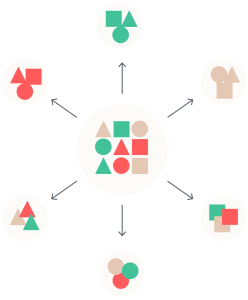 Campaign Engagement: Segmenting based on campaign behavior helps you separate the customers who are the most engaged from those who need reactivation. For example, you could send different messages to customers who have clicked on the last few campaigns in your promotion versus sending a discount to those who haven’t to re-engage them. 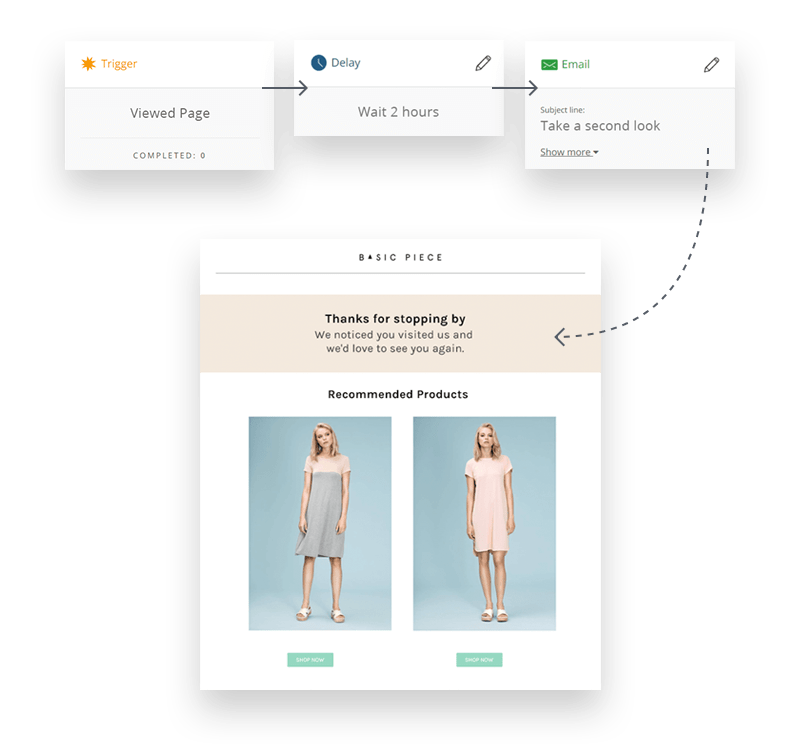 Shopping Behavior: A great marketing automation tool will track and measure customer behavior on your site and offer segments based on how a customer interacts with your site. This is where we get into fun automation sequences, like welcome series and cart abandonment. With the last one, the idea here is that a customer would enter this segment automatically by abandoning a cart, for example. While these three main categories only scratch the surface of what smart segmentation can do, it’s important to keep this in mind so you can make sure that your messages are always relevant for your customer. You can also combine different segmentations together and create a kind of layered effect. For example, say I wanted to send an email to women, aged 25-35, who browsed the category “dresses”, and clicked on the last campaign. This would allow you to create an ultra personalized message that would be more relevant, thus boosting customer loyalty and trust. One of the biggest hurdles online sellers experience when trying out an automated email marketing strategy is in the list building. 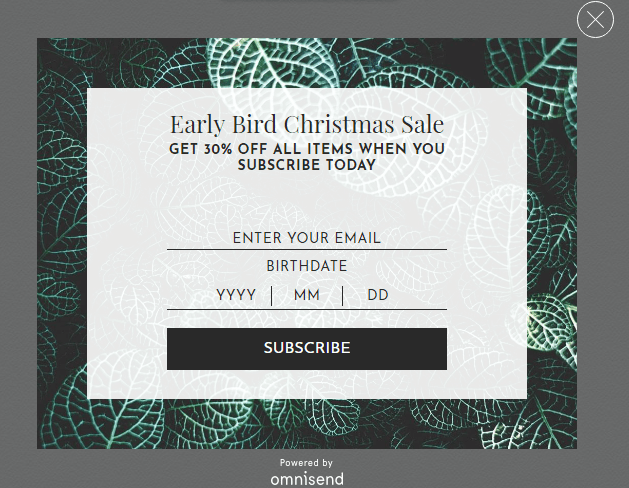 List building doesn’t have to be difficult, and by setting up several personalized email forms on your site, you can pre-segment your audience before even sending the first email. Standard opt-in forms: Standard opt-in forms are your run-of-the-mill sign up forms that appear either in the footer or sidebar of your page. These are great, non-confrontational email capture forms that function passively. You’ll want this to appear in a few different places on your site depending on how it’s laid out. Timed and content based pop-ups: Time-based pop-ups typically appear after a customer has browsed a page for a certain amount of time. Content based pop-ups will appear after a certain amount of the page has been scrolled. While effective, these pop-ups should be used sparingly, as they do tend to interrupt the user’s experience and can be annoying. 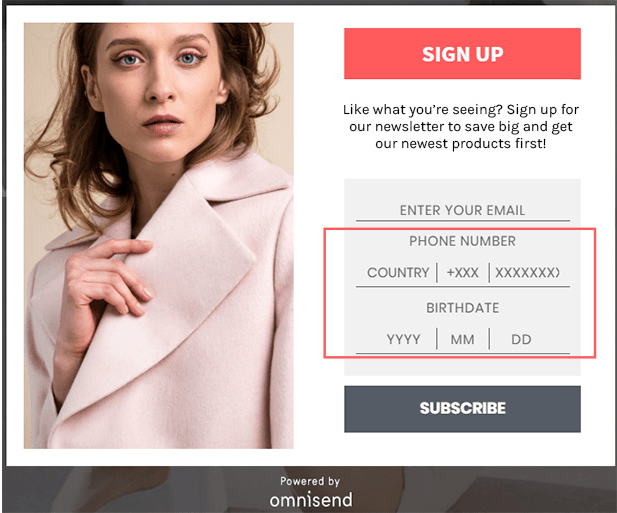 Exit-intent pop-ups: Exit-intent pop-ups are great for ecommerce, as they don’t interrupt the user’s experience and they’re quite effective when paired with the right incentive. If a customer is leaving your site and moves the cursor to the back button or towards the top of the screen, a pop-up appears with an offer the customer can’t refuse. Using these kind of email capture forms is pretty much standard. In order to up the ante, you’ll have to do more for your customer. From this point, you’ll need a few advanced tactics to use these sign up forms properly in a personalized strategy. Disable your pop-ups to those who have already signed up: Nothing is more annoying than a pop-up that appears even after you’ve already signed up or opted out. If someone has already given you an answer in one way or another, it’s time to disable the pop-up. Display specific pop-ups to specific visitors: You don’t have to use the same kind of form everywhere. If you have a particular offer that interests the customer, you can pre-segment that customer from others based on their interests. For example, if you have a customer who is browsing your sale category from the start, you can segment this kind of customer based on price-sensitive interests. If you have another that’s more interested in new arrivals, you can segment based on that. You’ll also be able to tailor the offer you show in your pop-ups based on the page a customer is browsing. How cool would it be to get an offer for free shipping while browsing a return policy? And I suppose their right. An email address is pretty good – if you’re planning on sending the exact same kind of email to everyone. But if you’re looking to personalize the communication you have between you and your customer and build that customer loyalty, you’ll have to do better than that. 2-3 pieces of information is typically the threshold that customers will tolerate. So go for first name, email address, and birthday. The first name helps you personalize your subject lines and emails with the customer’s name. 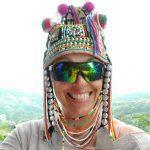 After all, no word in any language sounds as sweet as the sound of one’s own name. Birthday helps you do a few things. First of all, if you have the year you can help segment your customers into a few different demographics. You know that an older customer isn’t going to necessarily shop like a younger one, so you can tailor your messages in this way. Also, knowing a customer’s birthday helps you send those sweet birthday discounts. This kind of email series is wildly successful, with a nearly 45% open rate on average and convert five times more often than regular emails. Your automated workflow would be triggered by the customer’s birthdate, sending a message, in the above case via SMS. From there, three hours later, a follow up email would be sent with a time-sensitive email offer. In this way, you can surprise your customer with something extra special, not only building customer loyalty, but ensuring that they’ll never leave a message from you unopened. We know that email marketing is powerful. When you automate your email marketing campaigns, that power is amplified. When you add more channels into the mix, you can expect an even more significant boost to your efforts. Take the above birthday series example. Adding an SMS into your automation workflow spices things up a bit. Not only is your customer even more likely to open and read it, but they aren’t necessarily expecting a text message. When you use an SMS this way, you’ll keep your brand at the forefront of your customer’s mind. 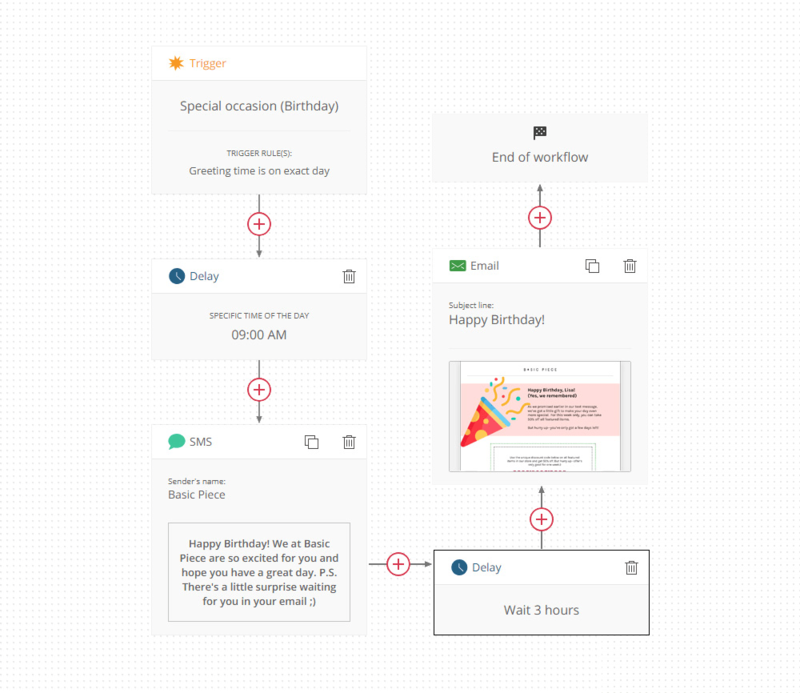 Adding other channels into these automation workflows can also boost the relationship your customers have with you. For example, you can add Facebook Messenger to give customers order updates and shipping notifications. Facebook Messenger is likely an app they already have open and use daily. By giving customers another choice as to how they want their notifications, you show them that you’re more versatile than your competitor, allowing your customer to choose how they interact with you. The idea behind adding more channels to your automation workflows is to create an even better customer experience by making it an omnichannel experience. This is what is meant by creating an omnichannel experience. It’s not enough to just add other channels and hope for the best. For an omnichannel strategy to work, you have to have a centralized point of data that each channel will interact with and update with each new engagement with the customer. In this way, you create a seamless 360 degree experience, no matter where the customer engages with you. When you’re consistent and you’re offering something above and beyond what the customer is expecting, they’ll surely trust you more. Email marketing automation sounds like it might be quite complex to implement, but in all actuality it can be simple when you’ve got a good marketing automation provider and a great strategy in place. By doing your best to segment your subscribers, you can make sure your messages are as personalized as possible, meaning your messages will resonate better with your customers. You can start this process before the customer even signs up by using targeted list building tactics to pre-segment your customers. By adding more channels into the mix and developing an omnichannel strategy, you elevate the service and experience you can provide to your customer. With these strategies, you’ll be able to foster more customer loyalty and trust in your store, your service, and your brand. 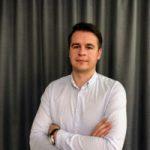 Evaldas Mockus is the Marketing Manager of Omnisend.com. Experienced and result orientated Digital Marketing Manager with a demonstrated history of working in the computer software and other industries. Skilled in Search Engine Optimization (SEO), Digital Marketing strategies and implementation.